India’s second Test against the West Indies in Mumbai will be an emotional one for the hometown hero, Sachin Tendulkar because it will be his 200th and final test match in a career that began when he was 16 years old. At 40, the Indian cricket legend will call it a day after 24 years at the top of the sport. He already has 100 international tons to his name, but the prolific right-hander will be looking to add to this record in his farewell test. India lead the series 1-0 so most commentators are expecting Tendulker’s final match to end in victory, so the only real question is whether he can add to his already outstanding record. 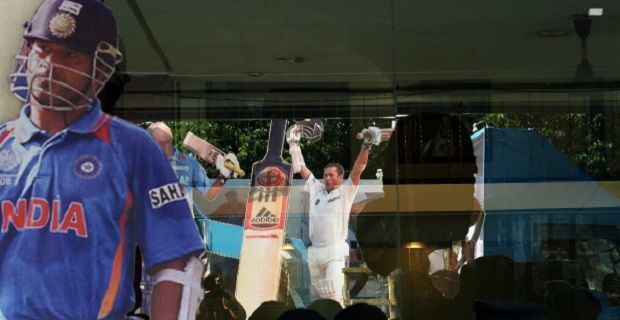 The past month has seen an outpouring of love for the man in his country and throughout the crickering world. When a legend like Shane Warne says, “There will not be another Sachin Tendulkar,” and a great batsman like Brian Lara describes him as “the Muhammad Ali and the Michael Jordan of cricket”, you know you’re dealing with the greatest of the great. These are sentiments shared by millions around the world. When the website selling tickets for the little master’s final appearance opened it received 19.7million hits in the first hour. Fans are up in arms about the fact that only 5,000 seats were on general sale, with the rest of the 33,000 at the Wankhede Stadium going to celebrities and politicians. There have been so many gifts sent to the player’s home by well-wishers that Tendulker’s wife Anjali has joked that a museum will need to be built to house them all.